MainOpEdsIs Bibi's version of the investigations correct? Bibi claims the Left realizes it cannot get rid of him by using routine electoral tactics, given the historical and demographic changes in Israel over the last fifty years, and so has turned to police investigations and the coutroom. Is he right? 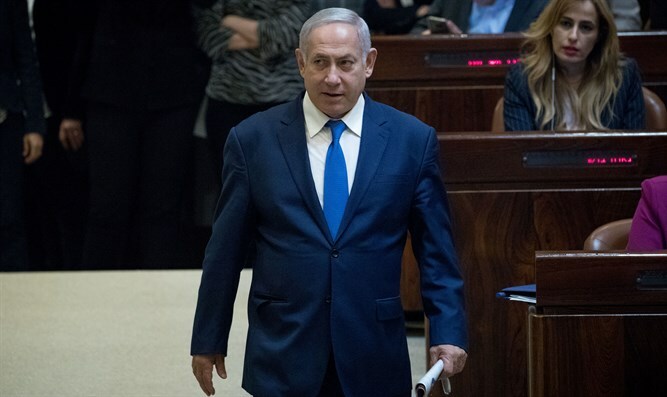 In the coming weeks we will be hearing, sometimes explicitly and sometimes implicitly, a lot about Prime Minister Bibi’s narrative concerning the election and the possibility of a criminal indictment. In brief, Bibi’s argument is that, “The Left knows that they cannot democratically defeat the Israeli Right, and get rid of me, at the ballot box, so they are trying to do it through police investigations and in the courtroom.” This article addresses the question: Is Bib’s narrative historically accurate, or is it just paranoia and election propaganda? And maybe most significantly Bibi finished the work of the Begin ’77 revolution, economically and politically, nailing tightly shut the coffin of an Ashkenazi dominated, progressive democratic socialistic state. My answer is that though this narrative contains some elements of paranoia and electoral manipulation, Bibi’s narrative is at least eighty per cent historically accurate. But this is not to say that the Left’s tactics are illegitimate. The Left’s strategy is legitimate in the sense that all is fair in love and war, and politics. In political warfare almost all tactics are ‘legitimate’ other than obsessive lying and violence. However it is, in turn, the obligation of the Israeli Right not to be fazed by the investigation and possible indictment. It must understand that this investigation was not born out of an innocent desire to seek justice, but is primarily a devious, but ‘legitimate’, attempt to ‘assassinate/eliminate’ the historically most successful political leader that the Israeli Right has produced, in the hope that this ‘elimination’ will seriously weaken the Israeli Right. The Left is seeking political control, and not legal justice. And those on the Right must realize that they are in the midst of a very high stakes, dangerous game of Realpolitik with the Left social elite. The Right must respond by fighting to win and not be confused by the current legal charges that are being thrown at Netanyahu. I do not have in my hands the secret protocols of the Elders of the Left elite in which they sat in some high rise Tel Aviv apartment and decided to make one ‘last ditch’ effort to ‘eliminate’ Bibi by non-electoral means (after having lost four elections), and thus chose the method an open-ended, ongoing police investigation as the method with best chance of succeeding (and it seems that they made a ‘wise’ choice). I would summarize that the corroborating ‘evidence’ supporting my accusation that the Left social elite is conducting a ‘search and destroy’ judicial mission against Bibi as follows. One, there really is a ‘deep state’ Left social elite (frequently termed the White Tribe of the state of Tel Aviv). Anyone who has recently studied at universities in the humanities and social sciences knows that at least seventy per cent of the faculty holds very secular, ‘progressive-politically correct’ political and social views. It is no fun being a student expressing conservative or religious opinions in class discussions. Similarly, seventy per cent of political commentators on Kan radio and television shape the news and express commentary with a strong secular-progressively liberal slant. This is ridiculously obvious to anyone who turns on the car radio or home television. The same is true on the Israeli movie scene. I am not equally knowledgeable about the social makeup of the judiciary, but I know, like all of us, that the Supreme Court usually rules against most legal issues that involve conservative, religious or nationalistic principles. To me it is logical that these bastions of liberal, Left power would turn to using non-electoral means (such as jump started-open ended criminal investigations) to remain in power. They are not saints. This is the historical reality of any serious, ongoing cultural-political conflict. I am only putting the historical, sociological facts on the table, and drawing the obvious conclusion, according to a realpolitik analysis. Second, this social Left elite is very painfully aware that their dominance of Israeli society has been consistently eroded over the years. The ethnic voting blocs that have demographically increased over the last thirty years are those least likely to hold Left political views. Religious voters are 25% of the population and the vast majority have conservative social and political views. Most voters whose family roots are in Russia or the Arab states tend to be more nationalistic in their political opinions. The rise of an Israel-hating Islamism , the Palestinian fear of compromising in any negotiated settlement, ongoing Palestinian terrorism, and the disastrous security results of the Israeli army and settlers leaving Gaza, have all created a general, consensual delusion with ‘the peace process’ which has been the at the heart of the self identity of the Israeli Left. Growing affluence may, in the future, create a Consensual Center in place of Israel’s traditional Left-Right social political divide. However right now, the Left social elite feels that it is fighting for survival, and thus almost all non-electoral survival tactics can be justified. And finally it is a well known fact that the Left social elite holds a visceral, a rational hatred of Bibi. For them Bibi is not just another Right wing political leader .Bibi is Bibi is Bibi. In the subconscious of the Left social elite Bibi is a demonic figure (like the “Anti-Christ” in Dostoevsky’s “Brothers’ Karamazov”) In their subconscious, Yigal Amir may have pulled the trigger, but Bibi put the bullet of incitement in the gun. Bibi also committed the unforgiveable sin of politically outwitting over the last twenty years,“Saint” Shimon Peres and derailing his Peace Train, and thus preventing a messianic Peace. And maybe most significantly Bibi finished the work of the Begin ’77 revolution, economically and politically, nailing tightly shut the coffin of an Ashkenazi dominated, progressive democratic socialistic state. Because of Bibi the ‘good old times’ will never comeback. Subconsciously, defeating such a political foe of such demonic proportions, easily justifies using the police and courtroom to depose a democratically elected Prime Minister. Bibi’s election narrative is eighty per cent correct. For the reasons described above, a reasonable man of the Right can safely conclude that the Left social elite is using the police and judiciary to attain what they have not been able to attain at the ballot box. And their legal case so far is weak and porous. They want to strategically weaken the Right by ‘eliminating’ the Right’s strong, gifted leader of the last twenty years. The Right must not be confused by this ‘legal’ smokescreen, and must conduct a maximum effort to win in this high stakes battle of Realpolitik over the social-political leadership of our G-d given Jewish State.